The man who has who has taken over at BASF SE, is in a rare position, taking over a company with no clear need for a change in strategic direction; so what is his appointment for? Even if the giant chemical producer is generally considered a role model to business, taking over as the head of BASF will not be easy for Bock, who is not a stranger to BASF and within chemical circles. He is however, only the second person without a science background to be at the helm of a company with a 146-year-old scientific history. Bock does not see this as a concern because the board of directors within the group all have a fundamental understanding of what BASF means because they spend most of their work- ing life engrossed in the spirit of BASF. Besides, Bock knows that the supervisory board always pays attention to the group mix because at all times half the members on the Board have to come from a chemistry background. The tall and slender Bock, who was born in Rahden in a small German town with 16,000 inhabitants in the North of Rhine- Westphalia, is married and has three children but keeps his personal life fairly private. Jogging, it seems, may be the only activity he engages in which he allows himself to infiltrate the outside world. He studied business administration in 1977 at the Universities of Munster and Cologne as well as at Pennsyl- vania State University, US. He completed his studies in 1982 and obtained his diploma from the University of Cologne, followed by three years in research to receive a doctorate in economics from the University of Bonn. Although personality wise Bock, 53, and his predecessor Dr Jurgen Hambrecht are considered to be like chalk and cheese, they both agree on the subject of continuity. 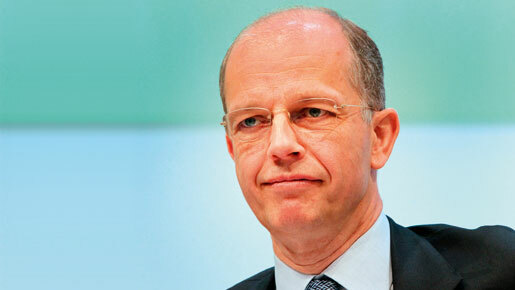 Bock has always supported the group’s approach and insists there will not be any changes to the BASF strategy. The contrast between Bock and Hambrecht’s personas however is remarkable. Hambrecht has an audible voice and dynamic demeanour and was certainly not media shy. Bock in comparison is a sober, analytical and rather timid type, who is usual- ly perceived to recoil from being the centre of attention. In the words of one of the members of the supervisory board however, “Hambre- cht thinks in black and white, while Bock can also see the various shades of grey”. Bock’s BASF career began in 1985 within its Ludwigshafen-based financial department and led only a couple of years later to his promo- tion as head of staff of the CFO of former BASF AG. In 1991 he became the head of technology planning and controlling of a BASF subsidiary for engineering plastics. However, he was not completely faithful to BASF as he left the company in 1992 to take on the job of senior vice president of finance for automobile component supplier Robert Bosch, a role which allowed him to travel between Stuttgart, Brazil and Germany. There he was able to create global business relationships with virtually every one of Bosch’s automobile clients. He was promoted in 1994 to senior vice president of finance and accounting and moved to Brazil in 1996 as the company’s managing director. It was not until 1998 that Bock found his way back to his roots and returned to BASF as its North America CFO. In 2003 Bock and his family moved to New Jersey where he became a member of the board of executive directors and CFO of BASF and eventually became the Chairman and CEO of North American operations in 2007. Bock’s leadership as BASF CEO began as the company announced its first quarter results. Things have been going smoothly for the German-based chemical giant, which saw its profits double to $3.4bn compared to £1.03bn the previous year as sales grew stronger. The company’s turnover increased by 25 percent to €19.4bn and it indicated that it expects significant sales growth in 2011. “Global economic growth continued in the first quarter and BASF had an excellent start to the year which was driven by ongoing strong demand and our abil- ity to protect margins by passing on higher raw material costs,” Bock says. These are also exciting times for Bock because BASF together with Ineos Industries took a significant step towards the establishment of the joint venture company, Styrolution. In June the EU Commission gave its approval for the formation of the joint venture, subject to the obligation that the parties sell an ABS production site in Tarragona, Spain. The joint venture will give Bock and BASF united EU permission with Ineos to amalga- mate their global business activities in Styrolution. The activities will include styrene monomers, polystyrene, acrylonitrile butadiene styrene, styrene-butadiene block copolymers and other styrene-based copolymers as well as copolymer blends. The two companies will continue to function independently until the completion of the deal expected in 2011 and conditional on remaining antitrust authorisations in other countries. Bock says he is not looking back to his life and work in the US as he has many friends in Germany. Indeed he is looking forward to carrying out the CEO role for as long as possible, and hopes this will be his last work- related move. One of his tasks will be to rebuild relationships with the German government because traditionally the voice of the BASF CEO carries a lot of credence in the economy. Chancellor Angela Merkel considered Hambrecht as one of her key advisors in the past but relations cooled after a difference of opinion. Now Bock will have to prove that he is able to use the grey-scale approach to reinstate the relationship with Berlin. The clarity, reliability and diligence that Bock displays in all his actions does not go unnoticed and makes him a key asset to BASF. Once he overcomes the shyness, allows him- self to openly share views on political and economic issues and communicates on a wider level with the media, he will be able to take BASF to another level.